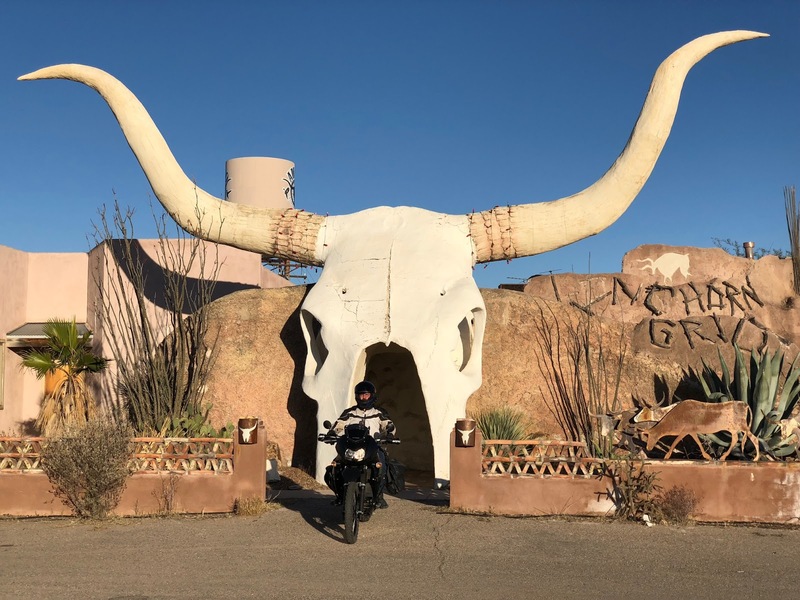 Ed and MacG went riding this weekend and took a trip down to Arivaca. On the way back, they came across the abandoned Longhorn Grill in Amado, Arizona. MacG snapped this picture of Ed, making it look as if he were exiting the skull.